Formal interactions with the corporate sector are organized primarily through the UMN Industrial Partnership for Research in Interfacial and Materials Engineering (IPRIME), managed by the Executive Director, Bob Lewis, with oversight from the Faculty Director, Professor Satish Kumar (Chemical Engineering & Materials Science). IPRIME is an innovative, broad-based industrial partners program that provides member companies first-hand access to students and shared knowledge generated by a suite of research programs, including those with MRSEC funding. A principal goal of IPRIME is the engagement of industrial scientists and engineers in a pre-competitive, nonproprietary, and collaborative environment, so as to foster knowledge transfer with industry as a mutually beneficial two-way exchange of information. For more information on the UMN MRSEC industrial partnership with IPRIME, visit the IPRIME website. The Partnership for Research and Education in Materials (PREM) aims to enhance diversity in materials research and education. 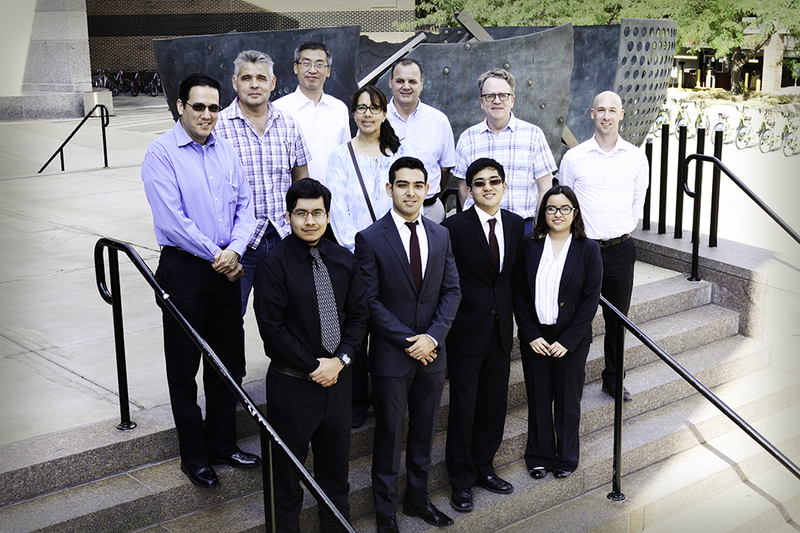 The MRSEC PREM builds and supports education and research collaborations between the University of Minnesota MRSEC and the University of Texas Rio Grande Valley (UTRGV), with the goal of broadening participation in materials science. The UTRGV-UMN PREM is funded by the National Science Foundation Award PREM DMR-1523577. For more information about PREM, visit the University of Texas Rio Grande Valley PREM website. The MRSEC has developed collaborations with prominent Research Centers and Institutions worldwide; each IRG works closely with a partner institution on a particular aspect of IRG research. IRG collaborations are fueled through visits and MRSEC-sponsored International workshops. Individual IRG faculty also visit partner institutions to facilitate collaboration and outline the appropriate intellectual scope. CETNA-2017 Charge and Energy Transport Workshop in Nanocrystal Assemblies (attended by most leading experts in the field): Collaborative research with international experts from Japan, Russia, The Netherlands, and Switzerland. University Duisburg-Essen (Germany): Student exchange; Synthesis and applications of nanocrystal materials. Institute for Macromolecular Chemistry and Charles University (Czech Republic): Hierarchical assembly of polymers to develop injectable nanoreactors, formed from thermoresponsive block copolymers.